Ok so let’s talk about training apps and viral coaching! (I’m not talking about viral coaching for fitness competitions. That’s completely different). When I first started out on my fitness journey. My go to was workout videos that I would pop in my DVD player or VCR. There weren’t smart phones or online sites like there are today! I loved the fact that I could lock myself away, tell my family not to bother me and I would sweat it out in my room to TaeBo and one of my favorite fitness instructors Charlene Johnson. That woman rocks! I look up to her so much. 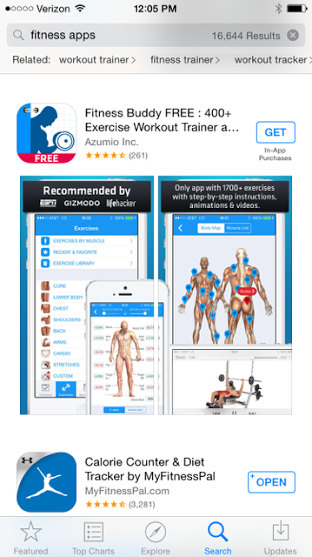 Fitness apps and online registration. Are great. It’s an awesome way for you to fit a workout anytime anywhere especially if you travel for work! I loved my DVD/VHS tapes. Being locked in my room made me feel safe and like no one could or would judge me. I did see results and a change in my body which I loved! And is also the reason I kept going in the fitness industry. Once I got over my fears, I joined a gym and started taking classes. It was great! There was just one problem… My form was atrocious! My back was always in pain, my shoulders felt like bricks, I was a massage therapist worst nightmare. Pretzels had nothing on the knots I was sporting! So this is my issue or conundrum with online training apps and videos. How do you know if you are doing it correctly? Apps and videos are designed for the general public. However, the “general public” demographic has changed in the last few years because of office jobs, obesity rates, and a more sedentary life style. All of these things need to be taken into account when someone is starting a fitness app regimen. What if a person sits at a desk all day hasn’t worked out in 10 years and their app tells them to do squat jumps!! Even though the app might give them a low impact alternative, most people have the mentality of, “go hard, or go home”. So, they workout so hard they they end up injuring themselves. This is a problem! As I sit here writing this I am taking a break studying for my “Corrective Exercise Science Certification”. This certification is a specialization for the “imbalanced, postural distorted citizen. Basically a large portion of today’s society. What do we do to bridge the gap? Classes are great. I love teaching. But again, I can’t focus on one person. This is why personal trainers charge as much as they do. Because we have to work you out and correct a lot of muscle imbalances. I guess the point of this post is to make you aware that you get what you pay for. There’s nothing like one on one teaching and instruction, if you are a beginner. If you are a avid fitness person who has worked with a trainer in the past and you know your limits. Then bye that app! I love my yoga app subscription because I’ve taken the time to be in actual live classes. And get my form corrected by the instructor. Apps might be cheaper but in the long run are they worth it, if you’re going to have to be fixed? Just my thoughts and opinion on this matter. Next Post Stretch it Out!